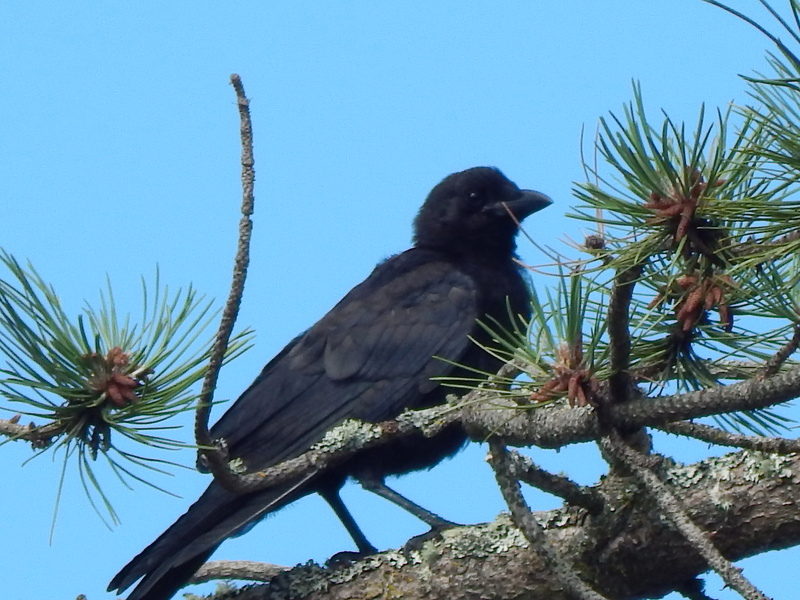 It has been a busy year for baby crows. 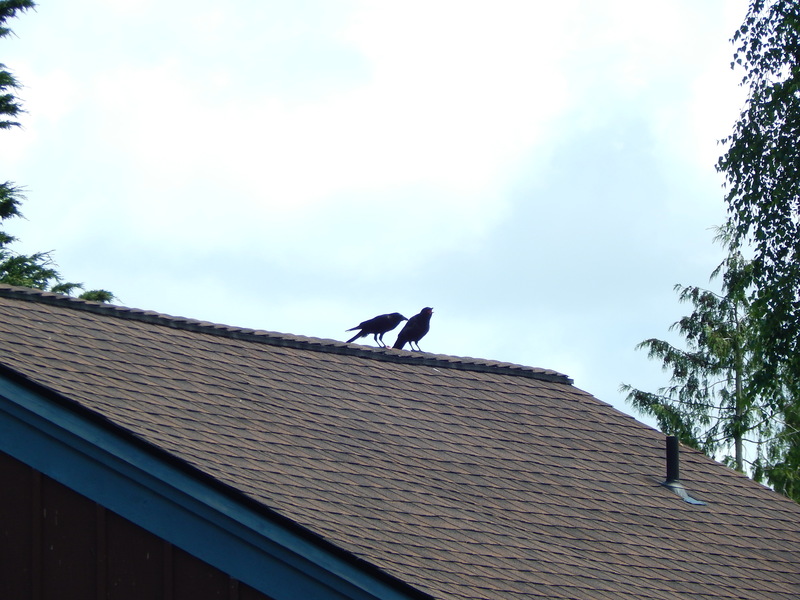 I found the top 10 baby crow episodes that I witnessed them creating chaos in their parents lives. This is in the same vain as in 2011 I wrote an article called 6 Baby Crows Crying. A popular post of all the little ones I found one Sunday. Here we go in no particular order starting with a parent and child sitting in a tree. 1) I called it Two Tails because the photo made a good pun on two tales. 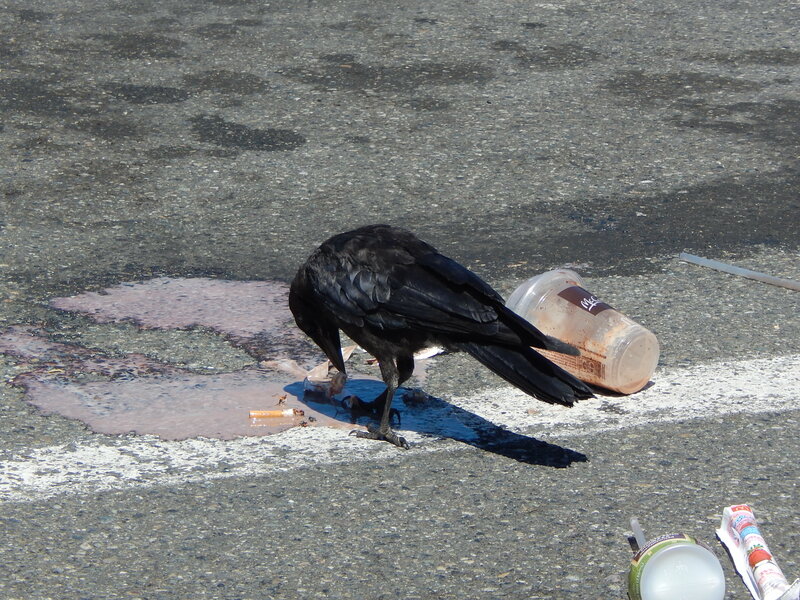 2) Grocery Store Parking Lot baby – I drove up and mom was showing junior how to forage in people garbage. Mom flew off but I got a good shot from my car of baby picking around and then crying for mom to come back and feed him. Not satisfied baby cries for mom to come back and feed him. 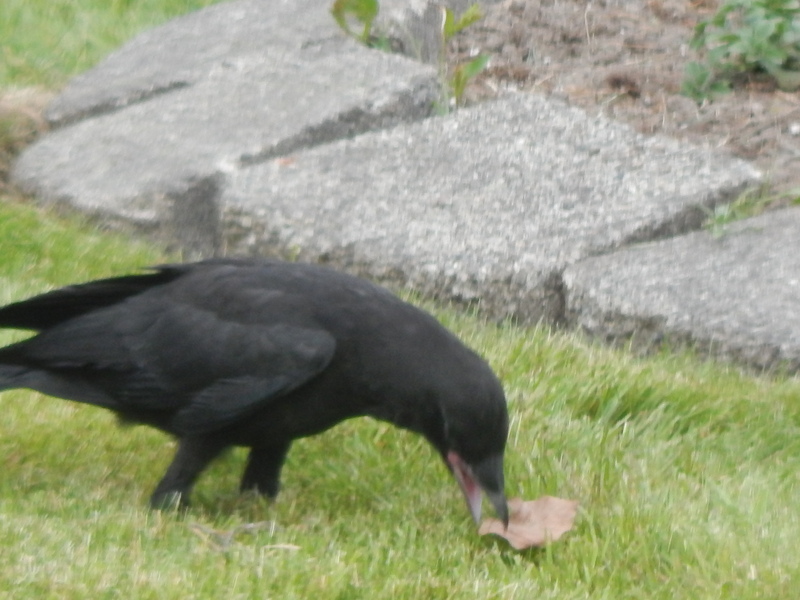 3) Walking around the neighborhood I saw crows hiding french fries. That steered me to this tree where a baby was demanding his tally of the feast. Mom I want a french fry – please go get it for me! 4) Dumpsters are a good place to teach your children to be self sufficient. Most of us humans go Yewwwww!! 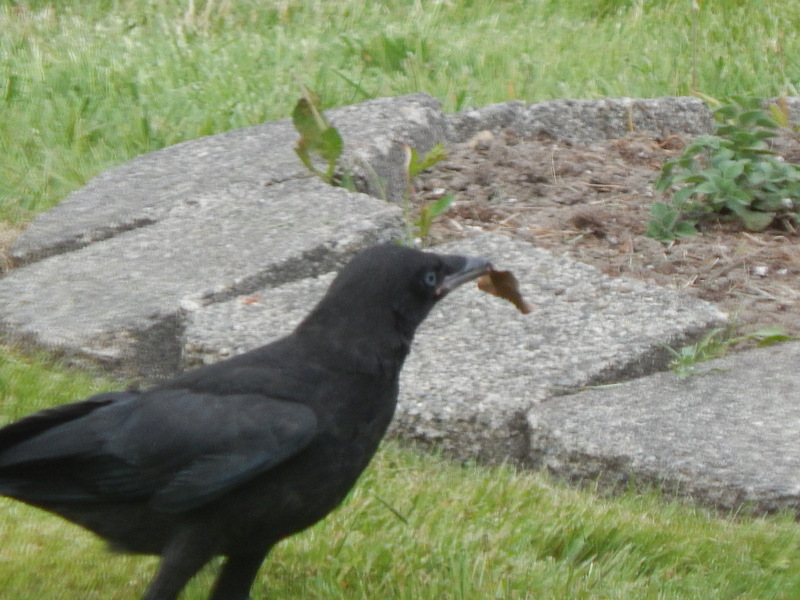 But a crow family find our garbage a bounty of easy food for training little ones to eat on their own. 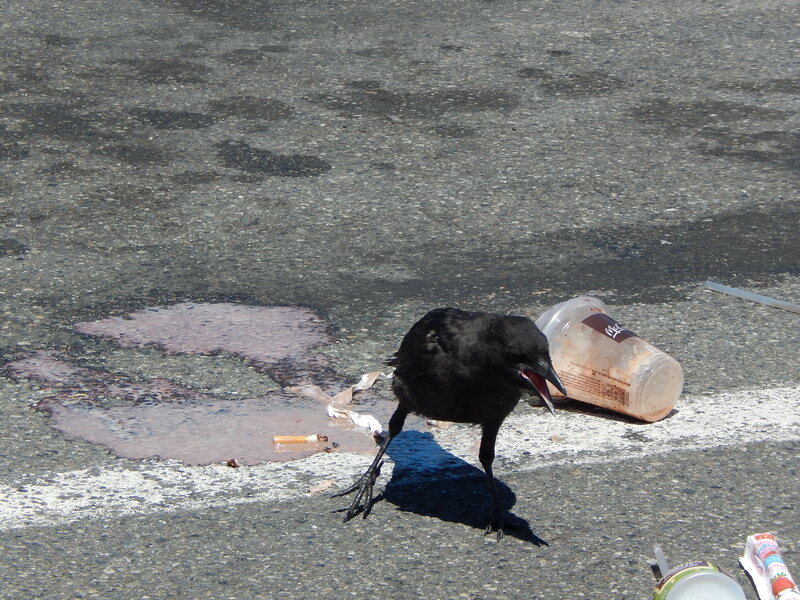 Dumpster Diving Crows is the post if you want to see all of it. 5) How about a little roof top drama. This baby will not take no for an answer as his parent feeds him something. 6) Family that plays together stays together. 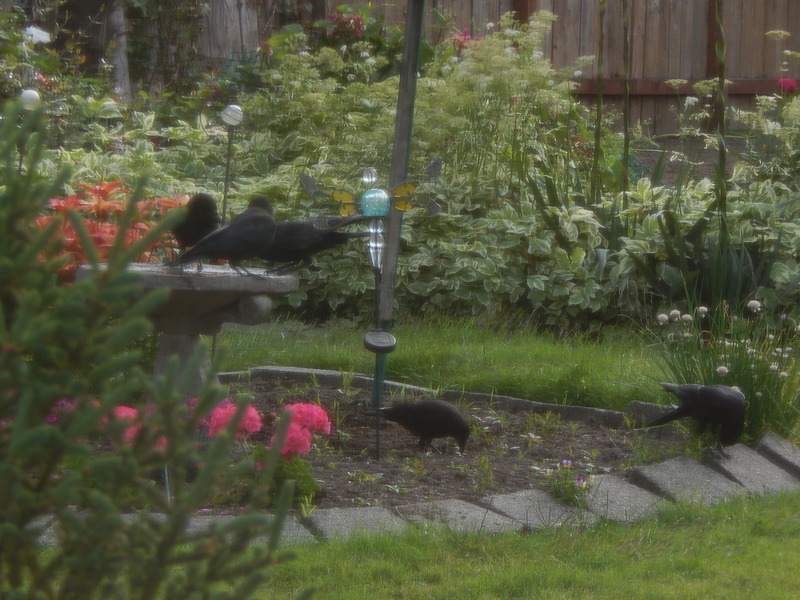 Here is a small murder with their babies playing in and out of the bird bath. I think this pair had three babies this year. What a handful! 7) Back in June I found this baby in my neighbors monkey tree. His parents were being a little crazy cause I saw him there. 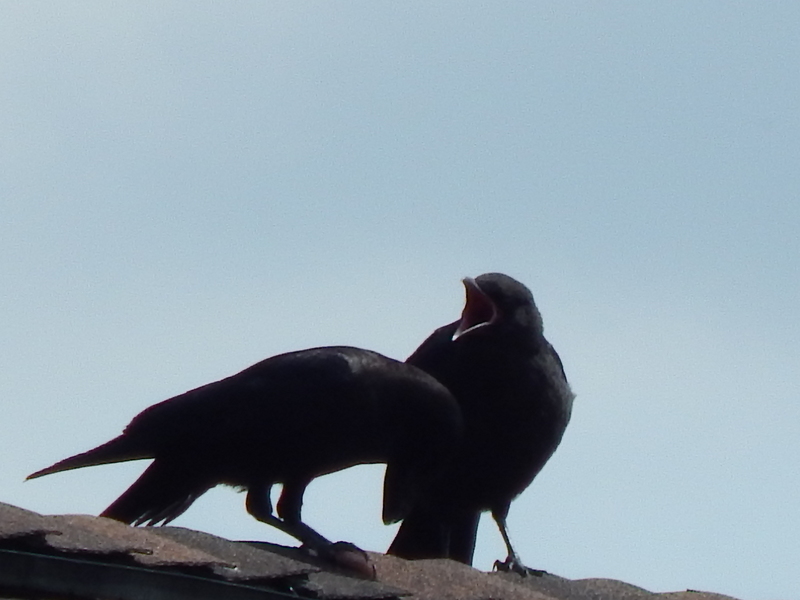 It is Tough being a Baby Crow. 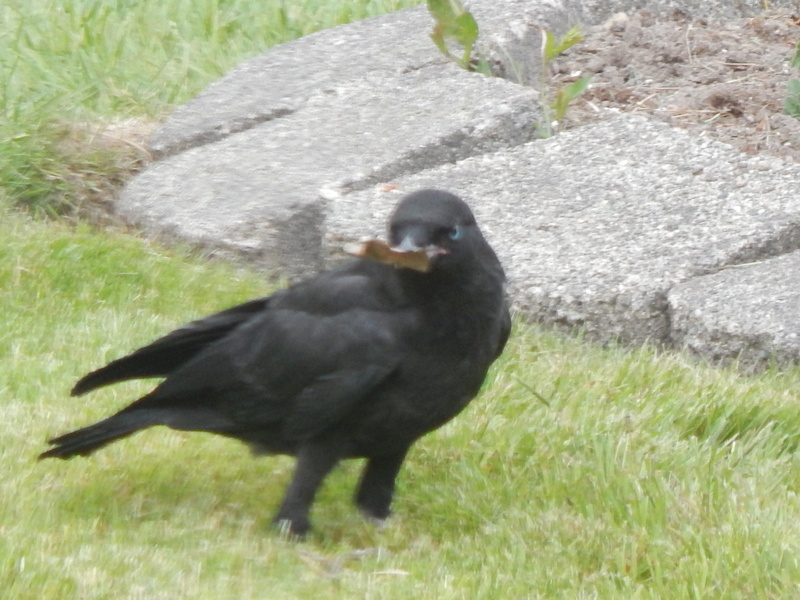 8) Baby crows love to play and learn at the same time. Sound like us humans? 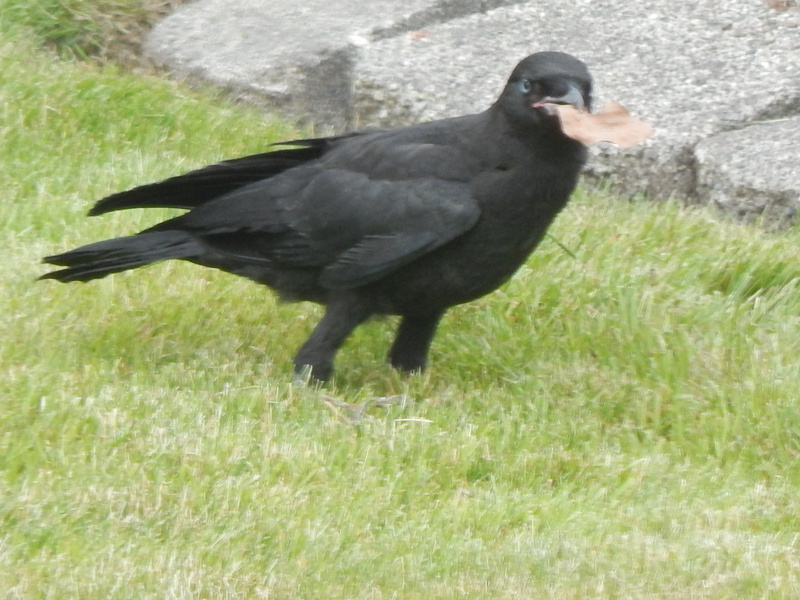 Here is a little one who thought he had some food product but it was just a brown dry leaf instead. Ah ha… got it again. It won’t get away from me! What do I do now? Is it food? or a toy? 9) Cry baby is the only way to describe baby crows. They are persistent at nagging their parents well after they can fend for themselves. This is actually the best way to tell a crow is a baby. 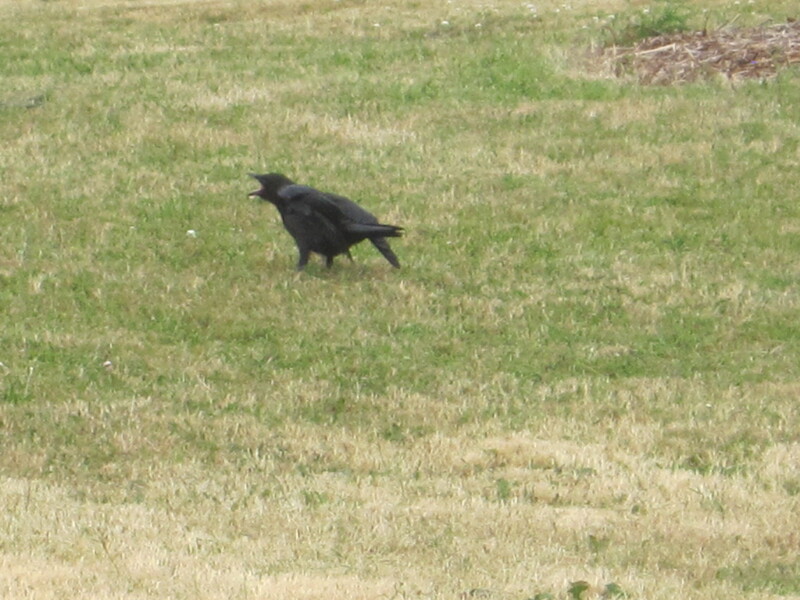 They appear to be an adult but that little open mouth that cries as it chases another crow is a sure clue. 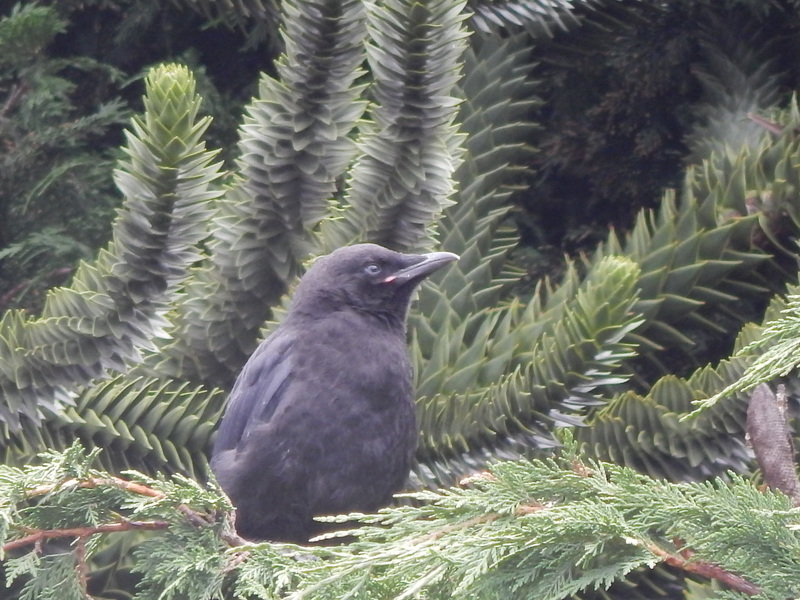 This one is in a fir tree in mid May early in the fledging season. 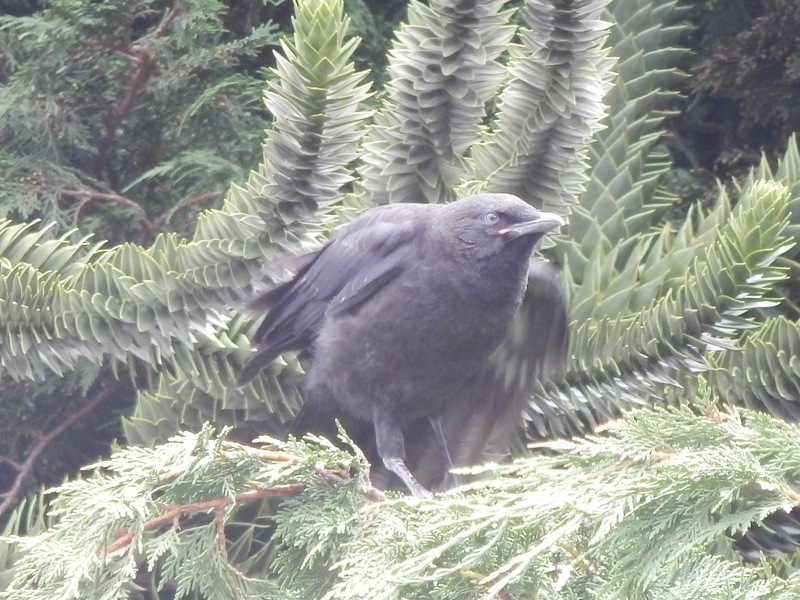 At this time of year I get super excited to see my first baby crow. 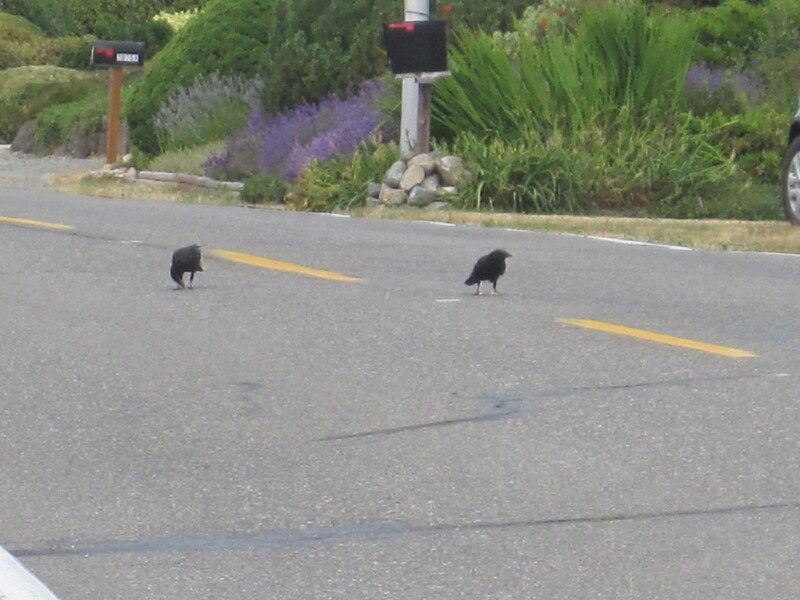 10) Playing in the street is a problem for baby crows just like humans. They do not have good sense of what that big metal thing hurtling at them is. 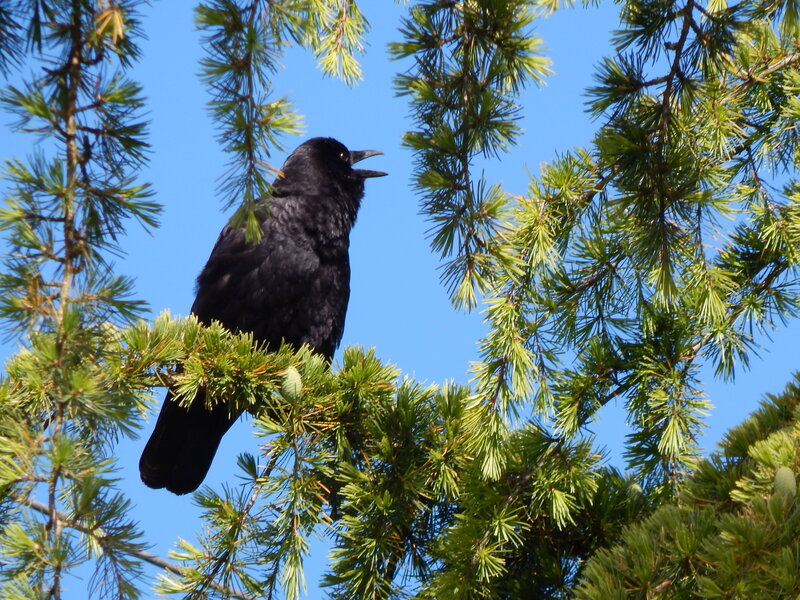 In the spring and summer if you see a deceased crow on the road 9 out of 10 times it is a youngster. This family was actually foraging in the road but the baby is dawdling. Then the parents got him over onto a lawn when a car went by. Close call!! 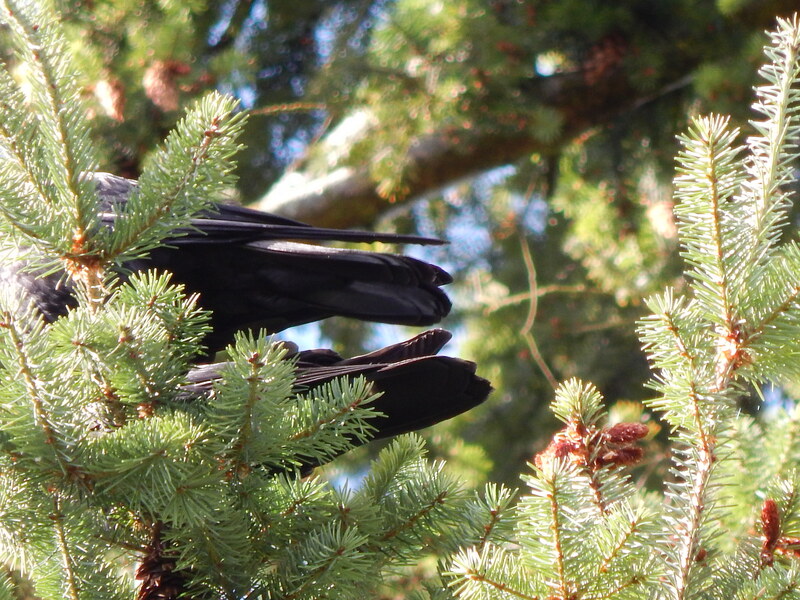 Hope you enjoyed my ten best baby crow encounters so far this year. 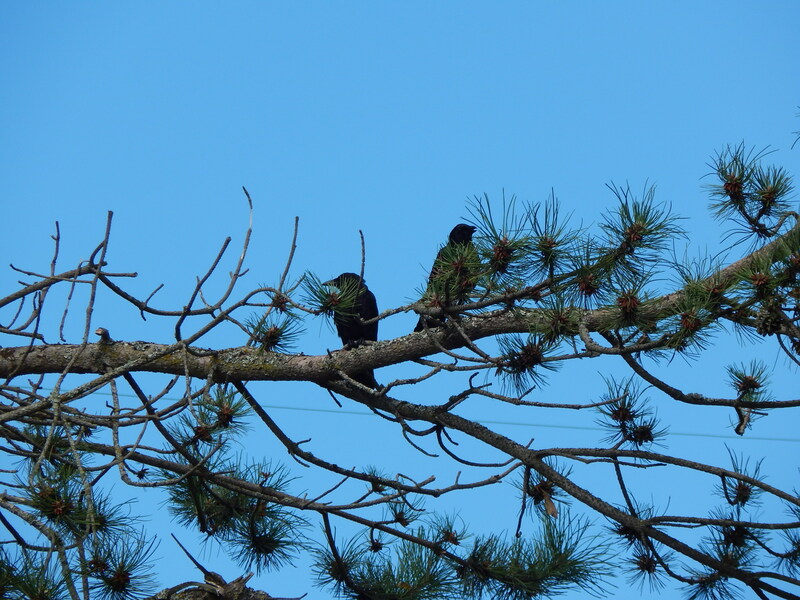 They are living right beside us, you just have to listen and watch for their funny pranks. ← Can’t go Home but I got a peek!